Now Open: Yumi Kim Replaces Shop on the L.E.S. A very generous tipster sent us four photos of Yumi Kim, the store that's taken over the old Shop space on the corner of Stanton and Ludlow. (Shop, you'll recall, moved below Delancey.) It's the first-ever store for designer Kim Phan, who seems not a little enthusiastic about the move. 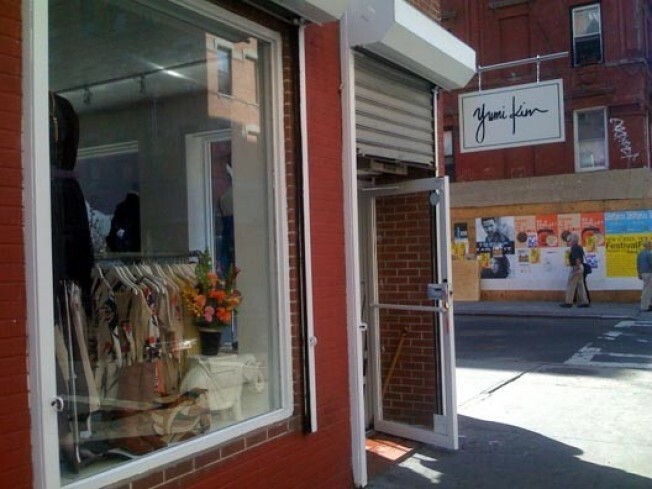 From her blog: "YUMI KIM flagship shop is opening soon in the Lower Eastside--yup, my favorite neighborhood in NYC baby! Yaaaaaay! Check it out! I'M SOOOOO EXCITED, AND I JUST CAN'T HIDE IT!!!!!!!!" The clothes are equally girly—lots of flowers, embroidery, and empire waists, at least judging from her website. As of yesterday, the store is open for business; expect an official launch within the next month.